vCD Archives - VIRTUALIZATION IS LIFE! While looking to upgrade one of my vCloud Director instances I came across an error during the database upgrade process which is the second step of updating vCloud Director from version to version. I must admit, it the eight to nine years of using vCloud Director, this was the first time that had an error during this process… I was kind of shocked! This was upgrading a PostGreSQL 9.5 database in a single cell all in one setup. Initially I was going from 9.1.x to 9.7 so I decided to roll back and try a 9.5 upgrade first. That worked without issue, however the subsequent upgrade from 9.5 to 9.7 also failed with the same error. Talking in the VMware Cloud Provider Slack Channel I got a few pointers to permissions and/or the version of PostGreSQL being not supported by 9.7.
vCloud Director 9.7 only supports MSSQL 2017 (last release that will support MSSQL) and PostGreSQL 10 which suggests 10.x. I was running PostGreSQL 9.5, so decided to upgrade to 10.7 using this guide from Yves Sandfort. After upgrading to 10.7 I tried the upgrade again but still got the same error. Because of the fact that the same instance upgraded successfully from 9.1 to 9.5 I didn’t really consider the database permissions to be a problem so continued to investigate with the help of VMware Support. What we found was an exception that mentioned ownership of the vcloud database from the current user which is vcloud. 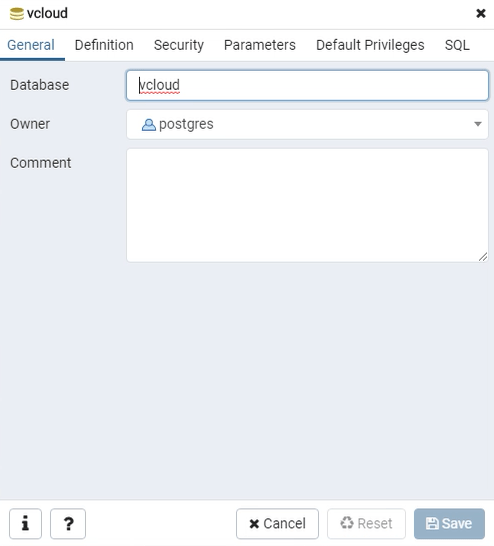 Sure enough, logging into PostgreSQL admin it showed that the existing owner of the vcloud database was postgreS its self. Strangely for me, during the PostgreSQL upgrade and migration the ownership of the database did not carry across. After changing the ownership back to the vcloud user the upgrade worked. So if that error pops up during an upgrade to vCloud Director 9.7 check either of the above (or both) and give it another shot. When Veeam Backup & Replication 9.5 Update 4 went Generally Available in late January I posted a What’s in it for Service Providers blog. In that post I briefly outlined all the new features and enhancements in Update 4 as it related to our Veeam Cloud and Service Providers. As mentioned each new major feature deserves it’s own seperate post. I’ve covered off the majority of the new feature so far, and for the final post in the series I am looking at something that is close to my heart…vCloud Director Support for Veeam Cloud Connect Replication. VMware vCloud Director is the de facto standard for service providers who offer Infrastructure as a Service based on VMware and Veeam has had a long history supporting vCloud Director, with the industry’s first support for vCloud Director aware backups released in Veeam Backup & Replication v7 following on with the first stand alone Self Service Backup Portal in v9.5. With the release of Update 4, we have added support for Veeam Cloud Connect to replicate directly into vCloud Director virtual datacenters, allowing both our Cloud and Service Provider Partners (VCSP) and customers to take advantage of the enhancements VMware has built into the platform. While this has been a long time coming, this support represents a significant enhancement to the way in which our VCSPs offer DRaaS. 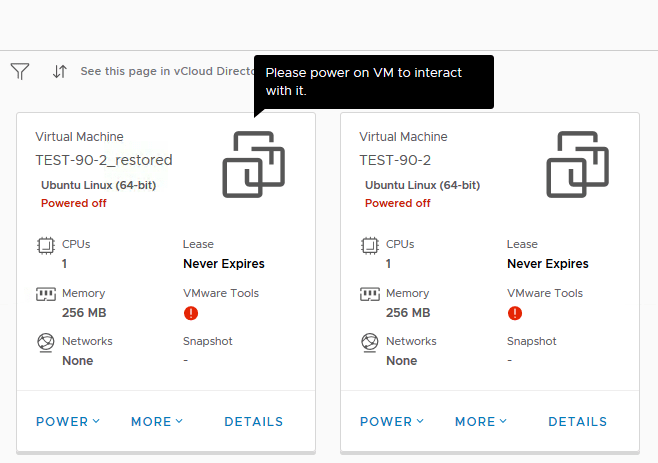 With tenants consuming vCloud Director resources, it allows them to take advantage of more powerful features when dealing with full disaster, or the failure of individual workloads. Full and partial failovers will be more transparent with the use of the vCloud Director HTML5 Tenant UI and the vCloud Director HTML5 UI will also allow tenants to see what is happening to workloads as they boot and interact with the guest OS directly. This takes the pressure of the VCSPs helpdesk and gives tenants more control of their replicas once failed over. Once a failover has been triggered from the Veeam Backup & Replication Console or via the VCSPs own Portals, the ability to manage and configure everything through the vCloud Director HTML5 UI utilizing NSX via vCloud Director enhances Cloud Connect Replication for both service providers and tenants. The Network Extension Appliance is still available for deployment in the same way as before Update 4 and can be used directly from within a vCloud Director virtual datacenter. The NEA’s automate the extension of a tenant network so that the failed over workload can be accessible from the tenant network, even though it resides in the service provider’s environment. The NEA to NEA option is the simplest and most effective way to extend the tenants network to the cloud network. NOTE: I will be dedicating a seperate blog post to this feature as I believe this is one of the leading innovative features we have as part of Cloud Connect Replication. Just a quick note to finish that at the time of writing this post, Veeam Backup & Replication 9.5 Update4a does not officially support vCloud Director 9.7. We currently support up to vCloud Director 9.5 but will be looking to add supportability for 9.7 within the next 90 days. DRaaS is something that is only just becoming recognized as something that organizations require as part of their overall data protection strategy. Veeam has had a strong offering delivered through our VCSPs for a while now, with a strong focus on network automation which is typically the hardest part of any DRaaS offering. With Cloud Connect Replication now targeting vCloud Director we now have a very compelling DRaaS product that is simple, flexible and reliable…yet still delivers enterprise grade functionality. While we wait for the upcoming release of vCloud Director 9.7 next month (after the covers where torn off the next release in a blog post last week by the vCloud Team), VMware have released a new build (9.5.0.2 Build 12810511) of vCloud Director 9.5 that contains a number of resolved issues and is a recommended patch update. Looking through the resolved issues it seems like the majority of fixes are around networking and to do with NSX Edge Gateway deployments as well as a few fixes around OVF template importing and API interactions. While looking through the new layout of the VMware Docs page for vCloud Director I noticed that a few new builds for 9.1, 9.0 and 8.20 had shipped out over the past few months or so. I updated the vCloud Director Release History to reflect all the latest builds across all versions. For a long time Veeam has lead the way in regard to the protection of workloads running in vCloud Director. Veeam first released deep integration into vCD back in version 7 of Backup & Replication that talked directly to the vCD APIs to facilitate the backup and recovery of vCD workloads and their constructs. More recently in version 9.5, the vCD Self Service Portal was released which also taps into vCD for tenant authentication. This portal leverages Enterprise Manager and allows service providers to grant their tenants self-service management of their vCD workloads. It’s possible that some providers don’t even know that this portal exists let alone the value it offers. 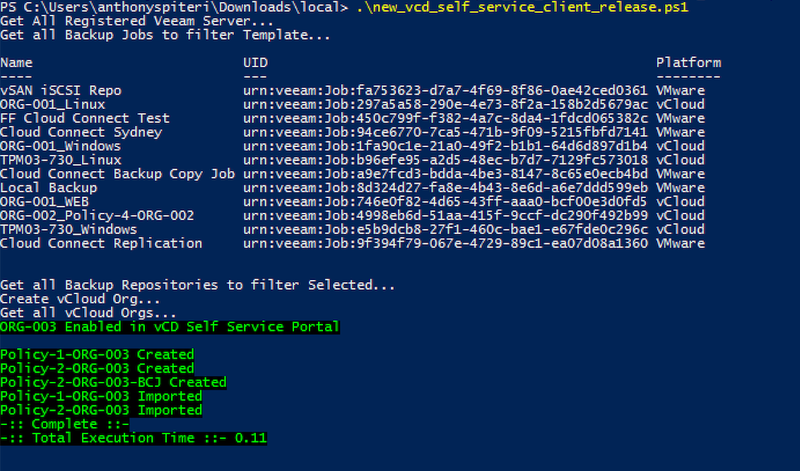 I’ve covered the basics of the portal here…but in this post, I want to talk about how to use the Veeam APIs and PowerShell SnapIn to automatically enable a tenant, create a default backup jobs based on policies, tie backup copy jobs to default job for longer retention and finally import the jobs into the vCD Self Service Portal ready for use. Having worked with a service provider recently, they requested to have previously defined service definitions for tenant backups ported to Veeam and the vCD Self Service Portal. Part of this requirement was to have tenants apply backup policies to their VMs…this included short term retention and longer term GFS based backup. 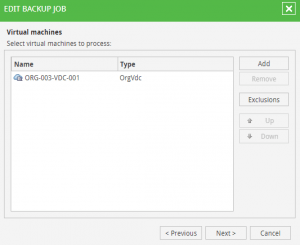 One of the current caveats with the Veeam vCD Self Service Portal is that backup copy jobs are not configurable via the web based portal. The reason for this is that It’s our belief that service providers should be in control of longer term restore operations, however some providers and their tenants still request this feature. Translated to a working solution, the PowerShell script combines a previously released set of code by Markus Kraus that uses the Enterprise Manager API to setup a new tenant in the vCD Self Service portal and a set of new functions that create default backup and backup copy jobs for vCD and then imports them into the portal ready for use. The variables are controlled by a JSON file making the script portable for Veeam Cloud and Service Providers to use as a base and build upon. The end result is that when a tenant first logs into the vCD Self Service Portal they have jobs, dictated by the desired polices ready for use. The backup jobs are set to disabled without a schedule set. The scope of the default jobs is the tenant’s Virtual Datacenter. If there is a corresponding backup copy job, this is tied to the backup job and is ready to do its thing. From here, the tenant can choose which policy that want to apply to their workloads and edit the desired job, change or leave the scope and add a schedule. 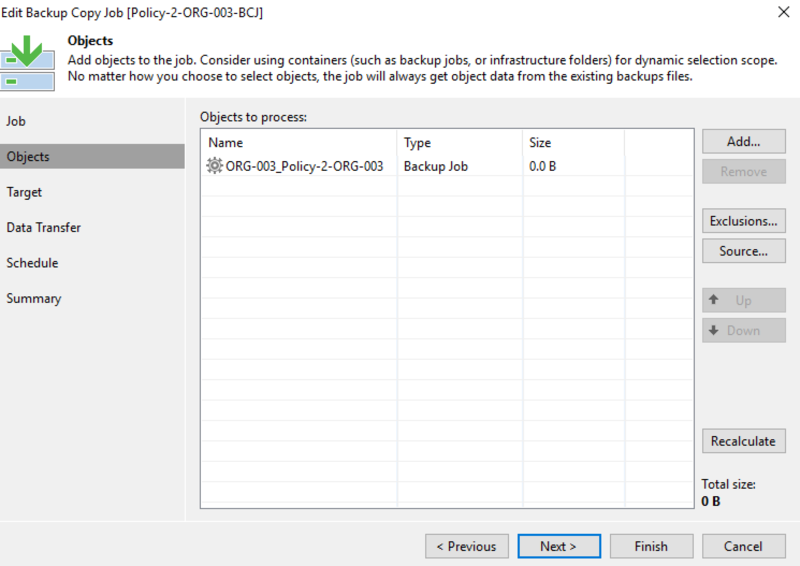 The job name in the Backup and Replication console is modified to indicate which policy the tenant selected. Again, if the tenant chooses a policy that requires longer term retention, the corresponding backup copy job is enabled in the Backup & Replication console…though not managed by the tenant. Self service recovery is possible by the tenant for through the portal as per usual, including full VM recovery, file and application item level recovery. For recovery of the longer term workloads and/or items, this is done by the Service Provider. This is a great example of the power of the Veeam API and PowerShell SnapIn providing a solution to offer more than what is out of the box and enhance the offering around the backup of vCloud Director workloads with Veeam’s integration. Feel free to use as is, or modify and integrate into your service offerings. For the longest time the configuring of vCloud Director’s SSL certificate keystore has been the thing that makes vCD admins shudder. There are lots of posts on the process…some good…some not so good. I even have a post from way back in 2012 about fronting vCD with a Citrix NetScaler and if I am honest, I cheated in having HTTPS at the load balancer deal with the SSL certificate while leaving vCD configured with the self signed cert. With the changes to the way the HTML5 Tenant Portal deals with certs and DNS I’m not sure that method would even work today. I wanted to try and update the self signed certs in both my lab environments to assist in resolving the No Datacenters are available issue that cropped up in vCD 9.1. Instead of generating and using self signed certs I decided to try use Let’s Encrypt signed certs. Most of the process below is curtesy of blog posts from Luca Dell’Oca and it’s worth looking at this blog post from Tom Fojta who has a PowerShell script to automate Let’s Encrypt SSL certs for us on NSX Edge load balancers. In my case, I wanted to install the cert directly into the vCD Cell Keystore. The manual end to end the process is listed below. I intend to try and automate this process so as to overcome the one constraint with using Let’s Encrypt…that is the 90 day lifespan of the certs. I think that is acceptable and it ensures validity of the SSL cert and a fair caveat given the main use case for this is in lab environments. To complete this process you need the ACMESharp PowerShell module. There are a couple of steps to follow which include registering the domain you want to create the SSL cert against, triggering a verification challenge that can be done by creating a domain TXT record as shown in the output of the challenge command. Once submitted, you need to look out for a Valid Status response. Once complete, there is a script that can be run as show on Luca’s Blog. I’ve added to the script to automatically import the newly created SSL cert into the Local Computer certificate store. From here, I exported the certificate with the private key so that you are left with a PFX file. I also saved to Base-64 X.509 format the Root and Intermediate certs that form the whole chain. This is required to help resolve the No Datacenters are available error mentioned above. Upload the three files to the vCD cell and continue as shown below. Next, the steps to take on the vCD Cell can be the most complex steps to follow and this is where I have seen different posts do different things. Below shows the commands from start to finish that worked for me…see inline for comments on what each command is doing. Once that has been done and the vCD services has restarted, the SSL cert has been applied and we are all green and the Let’s Encrypt SSL cert is in play. 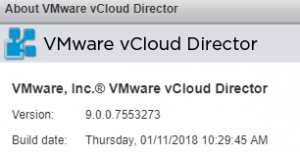 Overnight VMware released vCloud Director 9.1 (build 7905680) which builds on the 9.0 release that came out last September. This continues to deliver on VMware’s promise to release major vCD updates every six months or so. This update, on the surface contains fewer big ticket items than the 9.0 release however the enhancements included are actually significant and continue to build on where 9.0 left off. The new Tenant UI features include vApp and Catalog enhancements while delivering on probably the biggest pain point with the Flex UI tenant portal…that is OFV/OVA management. 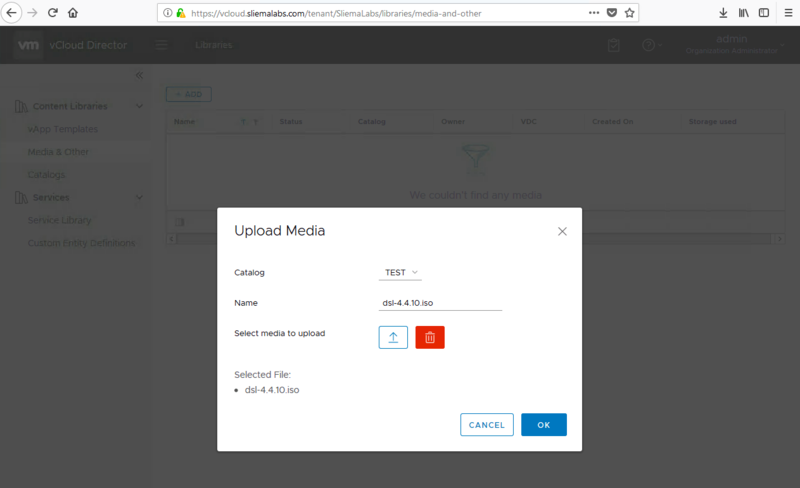 We now have native upload and download integration without the need for the client integration plugin. 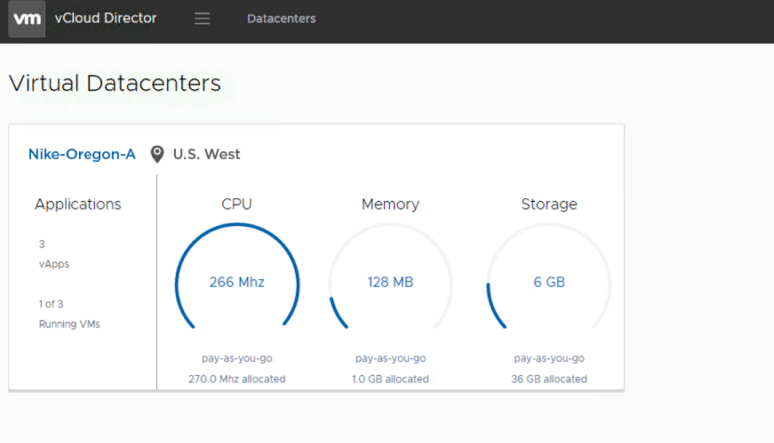 You now also get an overview of resources consumed in your Virtual Datacenters and also get a view of the multiple organisation feature introduced into 9.0. A new Provider Portal has been seeded in this release and at the moment can only be used for the new vRealise Orchestrator extensibility functionality. The administrator can import workflows from vRO through the import option. An administrator clicks the import workflow button, selects the vRO instance, and then chooses all the workflows they would like to import. On that note, there is an updated vRO Plug-In that allows both providers and tenants to automate tasks from the portal which is an excellent feature. There is also a new workflow for the provision of standalone VMs and vApps. If the management of OVAs/OVFs wasn’t the number one pain point with the FlexUI then the next one would have had to be the pain caused by the lack of functionality in the Console window. 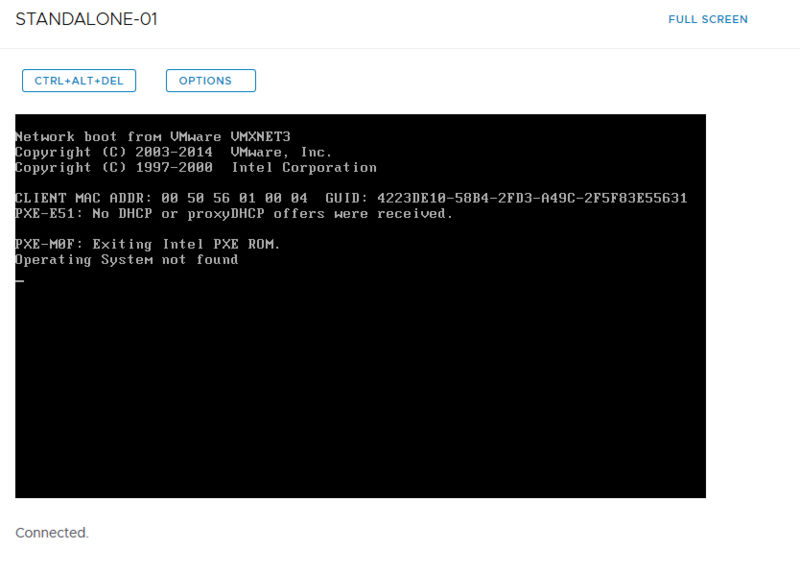 A HTML VM console is supported in version 9.0, but 9.1 now adds support for standalone VMware Remote Console. The VMRC provides more functions such for the tenant and significantly improves access to the VM consoles and gives greater flexibility accessing the VMs. I’ve blogged about the old VCA-CLI on a number of occasions and it’s great to see the project officially brought back into the vCD world. Development on this stopped for a while with the demise of vCloud Air, however I’m glad to see it picked up on as it’s a great tool for managing vCloud Director tenant Organisations and objects from a command line without having to get stuck into the APIs directly. It’s also used for the new Container Services Extension that has also been released side by side with this release of vCD. 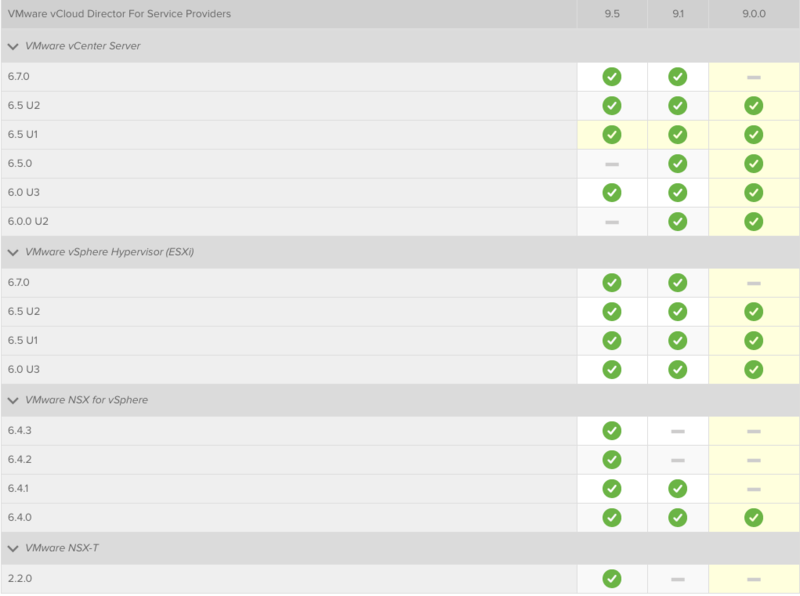 vCloud Director 9.1 is compatible with vSphere 6.5 Update 1 and NSX-v 6.4 and supports full interoperability with other versions as shown in the VMware Product Interoperability Matrix. With regards to Veeam support, I am sure that our QA department will be testing the 9.1 release against our integration pieces at the first opportunity they get, but as of now, there is no ETA on offical support. A list of known issues can be found in the release notes. Overall this is a very strong release with a lot of emphasis on extensibility behind the visual enhancements and functionality of the ever evolving HTML Tenant UI. As usual, I’ll look to write a few more blog posts on specific 9.1 features over the next couple of weeks. There is a White Paper where you can find more details about what’s contained in the 9.1 release. Tom Fojta and Daniel Paluszek VMware have a what’s new blog posts as well. 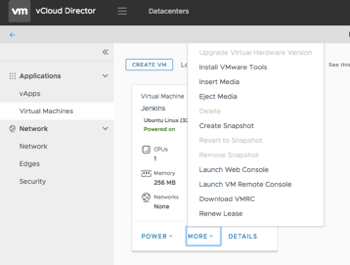 VMware vCloud Director 9.1 is out! vCloud Director Tenant UI: Dude…Where is my VM Web Console? As most of you should know buy now, vCloud Director 9.0 features a new HTML5 Tenant UI Portal which is not only very pretty, but also functional. As of the 9.0 release the HTML5 Tenant UI has a limited scope of functionality compared to the legacy Flex based web console but is still a great example of where vCD is going in terms of continuing to enhance vCD. On the Virtual Machines page, you can click on the VMware graphic which will open a Web Console window. You won’t see the mouse change to indicate that the area is hot, which is why most people assume that the option to launch the Web Console isn’t there. But if you click on it, the Web Console window will pop up and you will be able to interact with the VM. It is a very limited console in terms of remote actions you can perform. There is a lot more functionality in the VMware Remote Console…hopefully we will see that available to launch through the new Tennant UI in upcoming versions. If the VM if powered off you will get the following message if you try to click on the image. So there you have it! 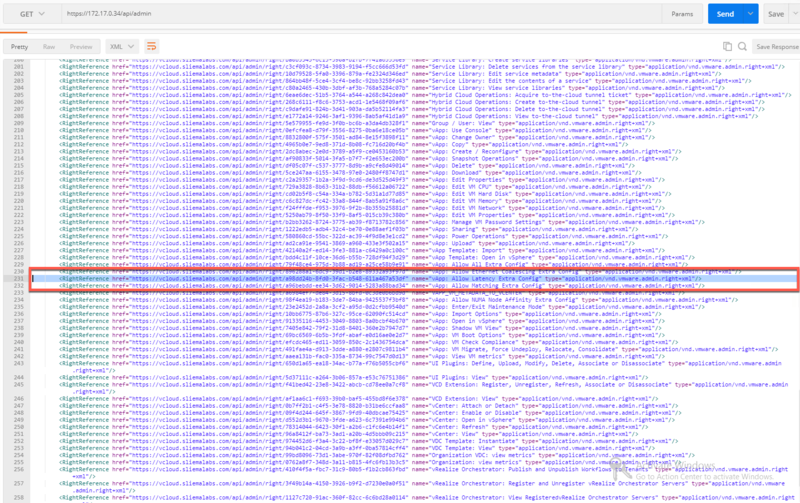 The Web Console is there in the new HTML5 Tenant UI in vCloud Director 9.0…it’s not super obvious, but it is there! Released: vCloud Director 9.0.0.2 – Important Networking Fixes! Last week VMware put out a new point release for vCloud Director 9.0 (Build 7553273) for Service Providers. While there is nothing new in this release there are a significant number of resolved issues as listed in the release notes. One thing to mention is that even though this was released during a similar timeframe to NSX-v 6.4 there is no offical compatibility just yet. Reading through the list of resolved issues there where some pretty impactful errors that seem to be related mostly to NSX operations and networking in general. Deleting a Provider VDC can corrupt VXLAN network pools that are in use After you delete a Provider VDC, its associated VXLAN network pool becomes unusable by organization VDCs backed by other Provider VDCs. 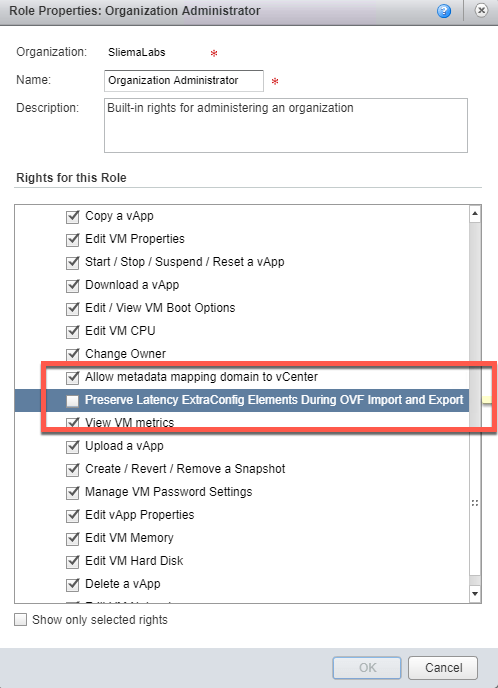 The Redeploy an Edge Gateway from vCloud Director task succeeds instantly but the Edge does not actually redeploy in NSX When you attempt to redeploy an Edge Gateway from vCloud Director, the API initiates a task in vCloud Director and in vCenter Server but does not send a redeploy request to the NSX server. As a consequence, the Edge Gateway does not redeploy. Registration of an NSX Server fails when you supply the credentials of an SSO user vCloud Director SSO users are not authorized to access an NSX endpoint required for registration, so registration fails. Changes on Edge Gateway Services are not synchronized between vCloud Director and NSX When you modify one of the Edge Gateway Services, for example by creating a Static Route, the change is saved on the vCloud Director side but cannot be saved on the NSX server. Creating or updating a firewall rule for an Advanced Gateway Portal with enabling the Show only user-defined rules toggle causes the action of the default firewall rule to change. When you create a new firewall rule or update an existing rule for an Advanced Gateway Portal, if you enable the Show only user-defined rules toggle, the action of the default firewall rule changes incorrectly to match the last modified rule. Deleting an external network that uses a distributed virtual port group with a Private VLAN does not work When you try to delete an external network that is liked to a private VLAN associated with a distributed virtual port group (dvPortgroup), the deletion fails with an InternalError: Only single VLAN or trunk VLAN is supported error message. You cannot add a DNAT rule configuring an original or a translated port or port range through the tenant portal When you attempt to add a DNAT rule from the Edge Gateway screen in the tenant portal, you cannot enter either a port or a port range in the Original Port and the Translated Port text boxes. Good to seem them fixing issues quickly but it also tells me that a lot of people participating in the beta for 9.0 didn’t test deep enough against real word scenarios…a lot of what is listed above isn’t what you would consider corner cases. These issues should have bene picked up before going to GA. Possibly also shows that a lot of VCPP Service Providers haven’t upgraded to 9.0 just yet. In any case the vCloud product development team has been hard at work resolving the bugs and Service Providers should be confident deploying or upgrading to 9.0 now.